Bernard Shaw was one of the last of the "old school" journalists on TV. He was always dead serious on the air, never a jovial bantering newsman. He delivered the news with solemn impartiality -- not like most present-day reporters who seem to have attended drama school, and "report the news" as much with their facial expressions and tone of voice as with the words they read. Shaw broadcast live from the 1989 protests in Tiananmen Square, until the Chinese government pulled the plug on CNN's satellite access. But Shaw and his crew still faxed photographs to America, and smuggled videotapes out of China with departing travelers. It was Shaw who asked 1988 presidential candidate Michael Dukakis, "Governor, if Kitty Dukakis were raped and murdered, would you favor an irrevocable death penalty for the killer?" The candidate's cold, bland answer ("No, I don't, Bernard, and I think you know that I've opposed the death penalty ...") was a major factor in tipping that election to George H.W. Bush. Shaw interviewed Saddam Hussein, covered the Challenger explosion, and reported live from the Oklahoma City bombing. More than a billion people watched Shaw's broadcasts from Baghdad as America's first war with Iraq began in 1991. "The skies over Baghdad have been illuminated", he said. "This is thunder, this is lightning, this is death -- this is hell." 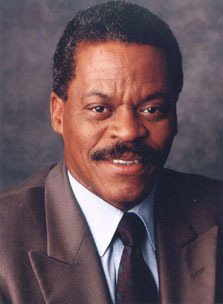 In his career, Shaw won two Emmys, four ACE Awards, and a Peabody. When he announced his retirement from CNN in 2000, CNN covered it through their "entertainment desk".